Need a synagogue for the holidays? Feel free! Know a newcomer who needs synagogue tickets for the High Holy Days? 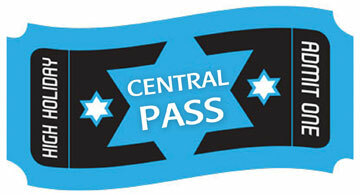 Local congregations are signing up to participate in Central Pass, a community-wide program that will provide free tickets to any participating synagogue for new, unaffiliated area residents. Coordinated by the Jewish Federation of Central New Jersey, it’s the latest attempt to remove a hurdle faced by newcomers when moving to an unfamiliar community. And like the great Manhattan landmark echoed in its name, Central Pass is designed to bring people together in a warm spirit of community. “This is a chance for us to ‘walk the walk,’” said Amy Cooper, the federation’s associate executive vice president and director of financial resource development. The program fits with the federation’s strategic plan to build Jewish “peoplehood” through outreach and coordination with other institutions. The federation is the entry point. Applicants are invited to choose one of the participating synagogues listed on the federation website www.jewishjerseycentral.org, and to fill out a form featured there. Cooper is passing on the applications, and it is up to the selected synagogue to respond, depending on the availability of tickets. Each congregation has decided how many it can offer. Aug. 31 is the deadline for applications. 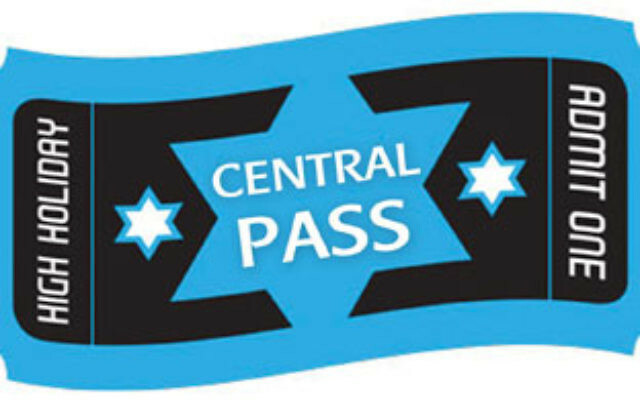 The federation is covering the cost of advertising the Central Pass program in newspapers and through posters and other publicity material, but the program still requires a significant commitment from the participating congregations. Most synagogues try to balance a welcoming attitude with a need to pay salaries and bills and meet the other costs of running an institution. Some include High Holy Day tickets in their annual dues; others charge a separate fee for them, and a higher one for non-members. Giving the tickets away to even a few families could amount to a sizeable cost, especially in an economic climate where they are also looking for ways to help existing members who are struggling to pay their fees. Cooper said that when the Central Pass idea was broached, some synagogues mentioned that as an issue, but agreed it was worth doing. “They all believe it’s a great idea, that it’s an opportunity to lower the barrier to participation in the High Holy Day services,” she said. If she receives 25 to 30 requests, Cooper said, she will regard the program as successful. It is open, she stressed, to those who have not received similar benefits in the past from the synagogue they select. While a few congregations chose not to participate because they already conduct their own High Holy Day outreach, others saw it as opportunity to expand such efforts. “Our hope is that people will enjoy the services, and maybe later will want to join our congregation — or somewhere else,” said Elliot Ballen, president of the Conservative synagogue Temple Beth-El Mekor Chayim in Cranford. He said the congregation consulted its new leader, Rabbi Ben Goldstein — who is coming on board Aug. 1; Ballen said he welcomed the idea. Ballen said the Cranford shul is hoping for more people like the newlywed couple to whom they offered free tickets in 2009. “This year, they came back to us and joined the congregation, so they can have their baby-naming with us,” he said. Rabbi Avremy Kanelsky, Torah education director for Bris Avrohom, the NJ-based Chabad organization, said that its Hillside synagogue, Congregation Shomrei Torah Ohel Yosef Yitzchok, is also taking part in Central Pass.